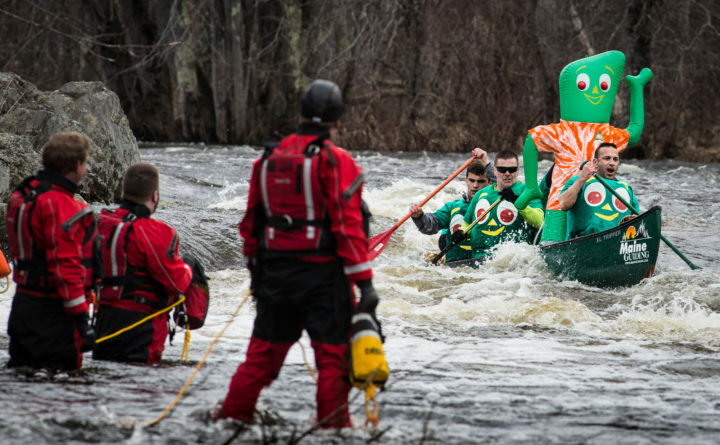 A canoe with a giant, inflatable Gumby shoots the rapids at Six Mile Falls in Bangor during the 52nd Kenduskeag Stream Canoe Race, April 21, 2018. Good morning. Temperatures will be in the low 40s to the mid-50s from north to south, with rain throughout the state. 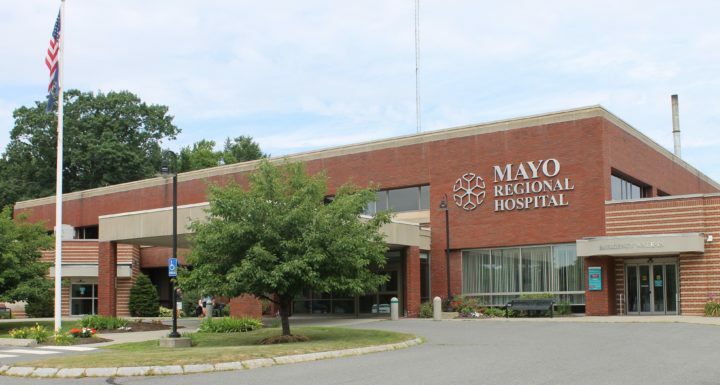 –Squeezed tightly by the high cost of doing business at a time when federal reimbursements don’t cover expenses and more patients need free care, Maine’s hospitals are merging, consolidating and finding other ways to survive in increasingly difficult financial times. –Following about a decade of steady growth in the number of students at Maine’s community colleges and a corresponding drop at the state’s public universities, the enrollment patterns have flipped in recent years. Everything from the unemployment rate to aggressive out-of-state student recruitment is a factor. 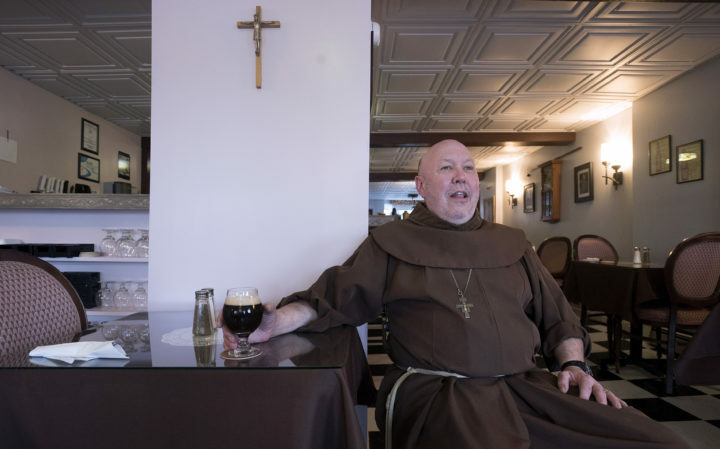 –Late in the evening of Jan. 14, Brother Donald Paul, co-owner of the Friar’s Brewhouse Tap Room in downtown Bucksport, wasn’t feeling so hot. Eventually, Brother Kenneth Leo, his fellow Francisan Friar, decided it was bad enough to merit a trip to the emergency room, where it was determined that Brother Don, as he’s affectionately known, had suffered a massive heart attack and required a quadruple bypass operation. But three months later, the tap room is back open and Brother Don is registered for a triathlon. –The Great Pond Mountain Conservation Trust and Penobscot region chapter of the New England Mountain Bike Association have finished a 530-yard, single-track trail on the trust’s 4,500 acres in Orland off Route 1 near its intersection with Route 176. They hope to build a three-mile trail in the same area starting in June, said Shawn Mercer, the trust’s land steward. –In April 2018, residents of Islesboro saw the cost of a roundtrip ferry ticket to the mainland more the double. Since the price hike, islanders say the financial burden has threatened the long-term sustainability of their island community. –On her 100th day in office Friday, Gov. 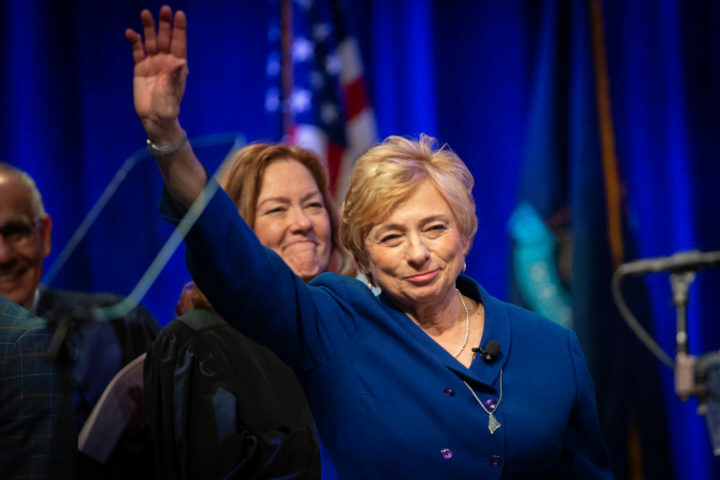 Janet Mills was sitting at her State House desk and in front of her were red, hardcover books containing Maine’s labor laws from a bid to help salvage a sick-leave bill that’s at risk of failure.